These are the days that LILS is open to the public. Typically, Run Days are typically scheduled for the second and last Sundays of the month from May through October. Our ride-on trains run from 10:30 AM to 3:00 PM. Tickets are required and may be obtained at our ticket booth. The ticket booth closes at 2:45 PM. While not required, donations are accepted at the ticket booth as well. Check out our Run Days page for our full schedule. 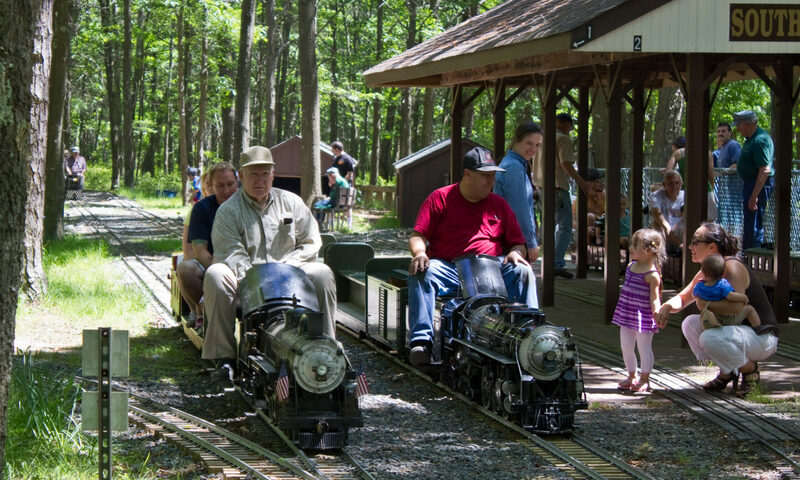 Several times a year, live steam hobbyists from around the northeast come to our track to run their trains. Typically they gather at our track on the Friday and Saturday of a Meet weekend. On those days the facility is open only to fellow live steamers, friends and family. Extra activities on Meet days include a dinner or barbecue, plenty of day time running, night running, and bi-directional running. The Run Day associated with the Meet weekend occasionally sees some of the out-of-towners staying for the public running of their rideable trains. Create your own Long Island Live Steamer Event. The Long Island Live Steamers can provide tables on Public Run Days for small to middle size parties during our regular operating season. Reservations MUST be made in advance. To download contact and Birthday Party information, Click Here! Other groups and charities can also sponsor events at LILS, but call us first at 631 345 0499 for details and to see if we can accommodate your needs.